In the most recent PowerApps update, 2.0.610 and 2.0.611, we’re excited to share a host of improvements around creating and running apps. You can use PowerApps to build and run apps with media hosted on Azure Media Services. From your Azure Media Services account, locate and publish your video asset from Settings > Assets. After the video is published, copy its URL. 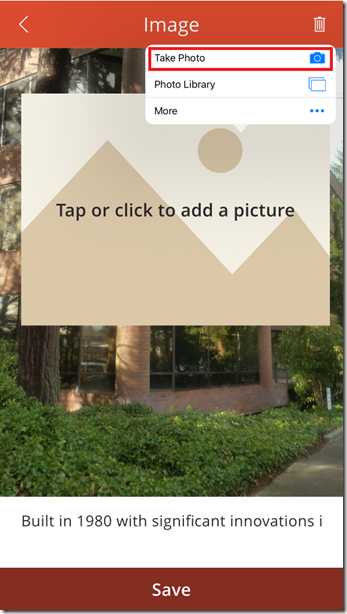 From PowerApps, add the Video control from Insert > Media. Set the Media property to the URL that you copied. 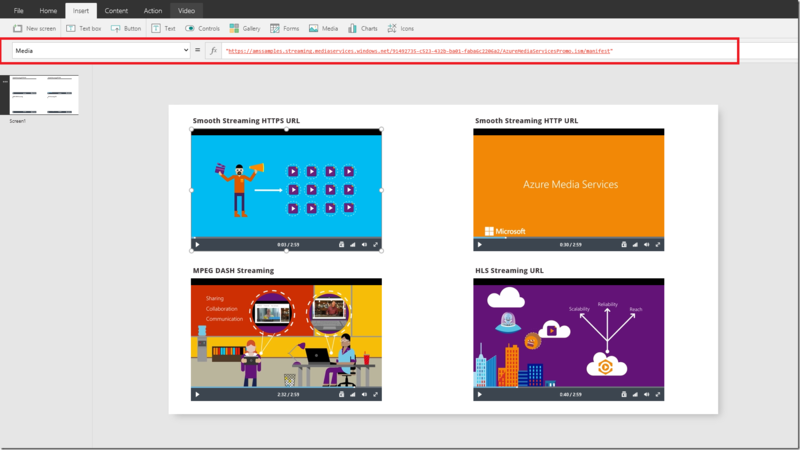 Create an account for Azure Media Services. Publish your video to get the URL to the content. Template apps showcase real world scenarios with sample data and are also a starting point to learn how PowerApps. With this update, you no longer need PowerApps Studio on Windows to create apps from templates. You can now create apps from templates from any supported browser. To learn more about creating and running apps from templates see here. We heard feedback from customers who wanted to add high-resolution images from the cameras on their mobile devices. 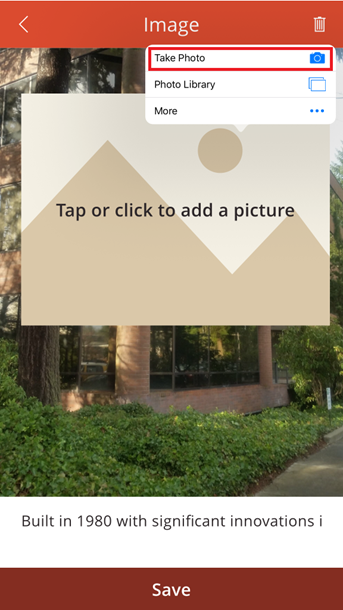 With this update, if you insert an Add picture control into an app, users can tap the control to add a picture from their photo library or the native camera on their mobile device. See the graphic below on the choice to select the native camera. 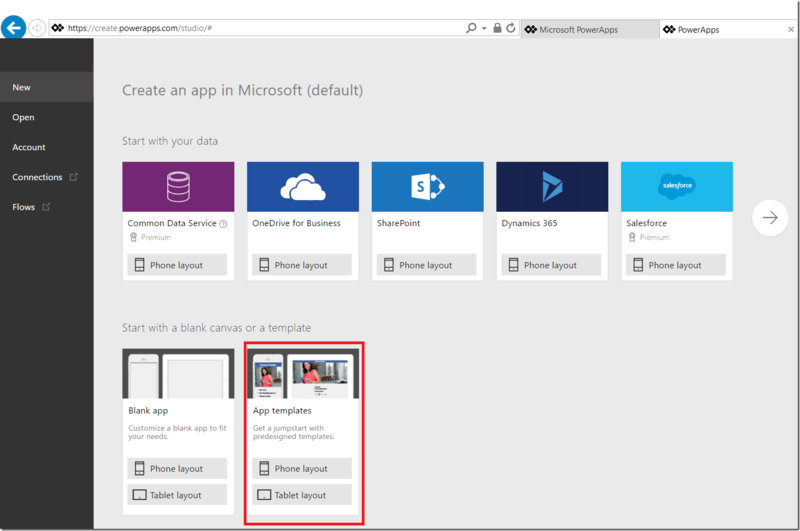 If you’re launching an app using a Microsoft service such as OneDrive, SharePoint, or Office, PowerApps will automatically create a connection to that service if one doesn’t already exist. You won’t have to configure connections to those services so you can create your app faster. However, users with whom you share the app will still have to consent to those connections before they run it. We’ve also boosted performance and let you magnify an app using a browser’s zoom feature. We would love to get your feedback – please post your comments and questions on our forums.